Which accent sounds better on David? Do あなた like Doctor when he wears his glasses? Excluding Rose & Martha which tenth doctor episode had the best kiss? Which of David's secondary/specials companions did he have most chemistry with? Time for a new club look? What's your お気に入り 10th Doctor episode? 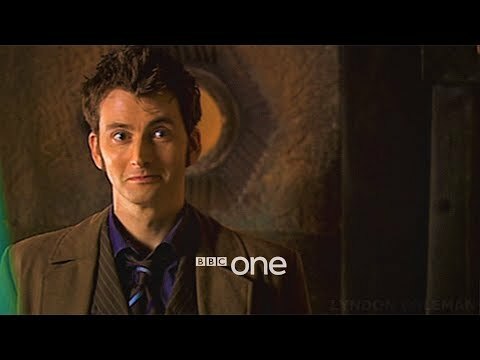 What's the funniest tenth Doctor Who scene あなた ever saw? For me it was when he was Cassandra in "New Earth" and the detox scene in "Unicorn & the Wasp"
David Tennant has done great things with The tenth Doctor and it was very very hard to see him leave. I am going to state several things that jumped out at me when David was the doctor. 1: He always made up the funniest words that made him enjoyable to watch. 2: He almost always had a smile on his face. 3: His hair was the best. 4: He has made me laugh cry and have many mixed emotions. he is the best doctor and always will be. Which episode in Season 2 was deemed as a Doctor-lite episode? What do あなた like most about David Ten-inch? Tenth Doctor & Martha: What went wrong! ?